James Harvey practices civil litigation at Klein DeNatale Goldner, focusing primarily on business and commercial cases. James was born and raised in Bakersfield, graduating from both North High and CSUB before attending law school at UC Davis. 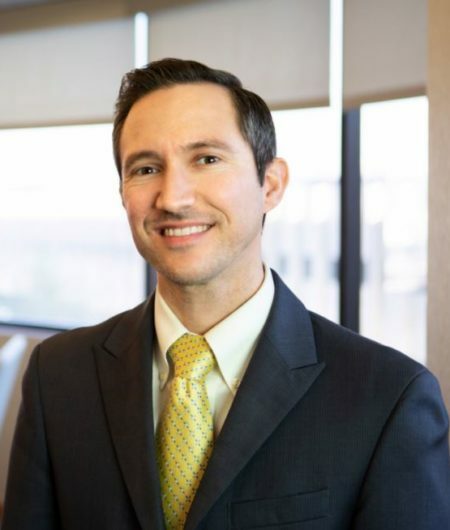 Upon graduating from law school in 2010, James returned to Bakersfield to begin practice and has been heavily involved in the local legal community ever since. James served on the Board of Directors for the KCBA Young Lawyers Section from 2013 – 2017, including terms as Secretary and Section Chair, and served on the Board for the KCBA Charitable Foundation in 2017. James is also a strong supporter of Kern County’s High School Mock Trial program, serving as a scoring judge each year from 2012 – 2017 and as attorney coach for North High in 2018-19. Outside of the legal community, James’s social and charitable activities are primarily centered around the Active 20-30 Club of Bakersfield. This Rotary-like group for individuals between the ages of 20 and 39 raises money both to fund its own charitable programs, which include back-to-school and Christmas shopping events for Kern County children, and to contribute to other local charitable groups with compatible goals. When not otherwise occupied, James can usually be found at home with his wife, Kathryn, and their Chihuahua mix, Penny. Kathryn is a legal secretary at Clifford and Brown. Penny is currently unemployed and weighing her options.